From self-driving cars to intelligent robotic assistants to remote surgical systems, autonomous technology will revolutionize the way we live, work, and play. In order to enable this revolution, however, advancements in foundational research and workforce development must first take place to provide assured and certified-safe performance. The University of Illinois at Urbana-Champaign has allocated $2.1 million in funds to create a new Center for Autonomy that will enable high-impact research and develop new educational programs for students and professionals. The Center will play an important role in designing innovative systems that can function autonomously, or without human intervention, in a safe and reliable way. 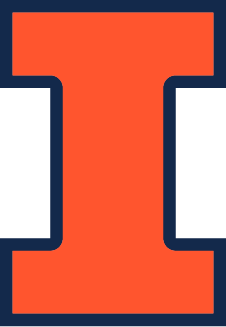 In addition, the College of Engineering is providing a $2.1 million match to recruit new faculty in robotics to continue growing expertise at Illinois. Experimental space for autonomy and robotics research is set to increase four-fold with the creation of the Center, with the goal of applying fundamental theoretical advances to applications of the future. The Center for Autonomy’s researchers are already pursuing distributed autonomous and robotic trustworthy systems (DARTS) for applications that are important to humanity and our economy, such as the farm of the future, information-rich IoT-driven autonomous manufacturing floors, and defensive systems that bring humans and robots together in operational teams that are unparalleled in their capacity to defend our nation. As part of this process, researchers will advance knowledge in artificial intelligence, robotics, digital hardware, and communications. And understanding the psychological impact of these developments on humanity. In addition to research, the Center will develop new degree programs in autonomy and robotics, which would help prepare the next generation of students to tackle critical problems in this field. The first effort will be a master’s degree that will help students develop a holistic view of the issues pertinent to autonomous systems. There will also be opportunities for individuals to further focus on business, societal, and ethical dimensions. In addition, Dullerud and his colleagues plan to develop specialization certificates that would tackle similar issues. The Center for Autonomy will continue the excellence that Illinois has claimed in this area for years. For example, the University was recently named No. 1 in Automation & Control by the Shanghai Ranking Consultancy’s Academic Ranking of World Universities. The Center is funded through the competitive Investment for Growth program, sponsored by the Provost’s office.